The Tom Cruise/Emily Blunt film Edge of Tomorrow was based on the novel All You Need Is Kill by Hiroshi Sakurazaka, which John Mayo, of ComicBookPage, and Kay Kellam, of PopArtsPlace, podcasted about when it was in theaters in June of this year. We discussed the novel All You Need Is Kill which was adapted both into a manga and the movie Edge of Tomorrow. The entire discussion contains spoilers of the various different versions of the story as we compare and contrast the difference in the story and storytelling across the different versions of the property. With the movie coming out on DVD and BluRay October 7 we wanted to highlight the podcast again for those who have not already taken the time to check it out. All You Need Is Kill [58:04m]: Download the podcast now from the ComicBookPage.com site and feed. John and I discussed the fact that All You Need Is Kill did not roll off the tongue as an easy to say title (perhaps the original Japanese had a better sound or meaning? 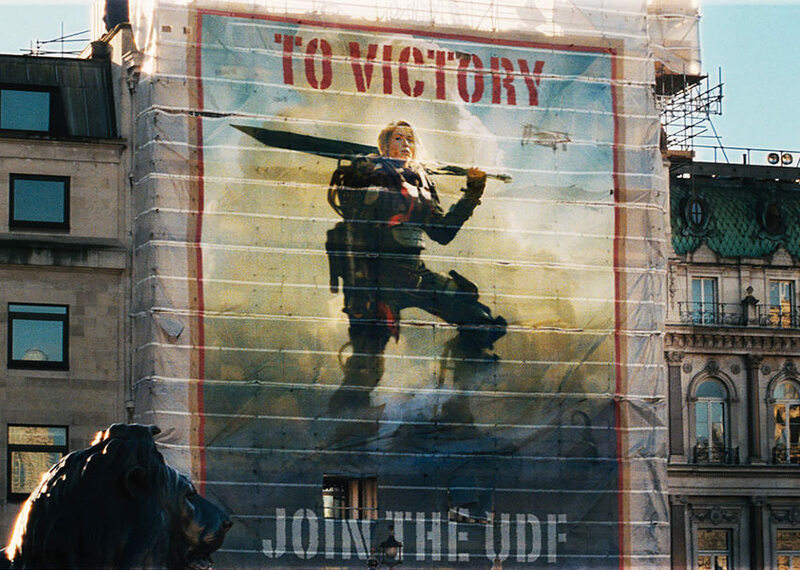 ), and we wondered at the title Edge of Tomorrow, since it was not an obvious title to connect in to the movie’s plot. It is a movie where a character keeps reliving the same 30 hours, with tomorrow seemingly never coming… the character constantly hovering at the Edge of Tomorrow but not able to make it through the events that will let his life move forward. Live, Die, Repeat was the suggested hashtag for Edge of Tomorrow when it was in the theaters and it does beautifully sum up so much of the movie, and prompts reminders to some of the lighthearted moments in the film as well. 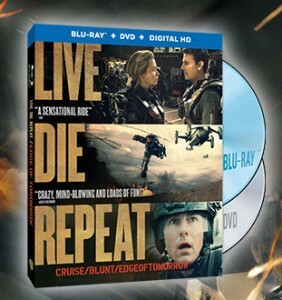 Live, Die, Repeat — Edge of Tomorrow is available now in Digital HD Download, and October 7 on DVD and BluRay. This entry was posted in Manga, Movie, Novel, Podcast, Podcasts, Review and tagged 3D, All You Need Is Kill, AYNIK, Bill Paxton, Brendan Gleeson, Cage, Christopher McQuarrie, ComicBookPage, Doug Liman, Edge of Tomorrow, Emily Blunt, Erwin Stoff, Farrell, Gregory Jacobs, Hiroshi Sakurazaka, Imax Experience, Japanese, Jeffrey Silver, Jez Butterworth, John Mayo, John-Henry Butterworth, Kick Gurry, Live Die Repeat, Manga, Movie, Novel, Podcast, Rita, Tom Cruise, Tom Lassally, VIZ Media on September 30, 2014 by Kay. The Listener, a Canadian show which has been airing on ion for the last several months kicks off it’s fifth season, in America, September 30. Yes, this is a case where the Canadians have already seen the entire season, and now we lucky Americans are getting a chance to watch this fun show that is set in, and filmed, up in Toronto. 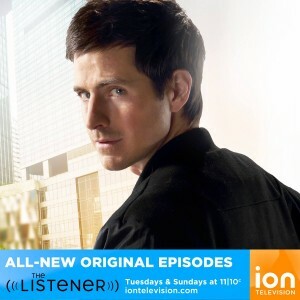 The Listener centers on Toby Logan (Craig Olejnik), a man who can hear the surface thoughts of those around him — when he chooses to listen in. As a child he had not learned that sense of control, but now, as an adult, fortunately for his own sanity, he has. In season 1 he was a paramedic who used his gift to help better understand how people came to be in need of a paramedics services, how they came to be injured, if they were overdosing what drug might have led to the situation, that sort of thing. In time he met a cop who realized just how much help Toby could be in solving cases… and Toby is a man who wants his gift to be a gift. He wants to use it to help people, wants to believe it has a good purpose and can be used for good reasons. At heart he is a good man looking for a good life. This show has a lot going for it, not the least of which is well written characters. The friendship between Toby Logan and his best friend Osman (Oz) Bey (Ennis Esmer) is fantastic. In Season 1 they shared an ambulance, but Toby’s changing and evolving life did not create distance between these two friends. They are a great example of always remembering the people who are an important part of your life, and making sure you make time for them. If you have not already tuned in to an episode of The Listener, add it to the list of shows you give a chance, I think you’ll be pleasantly surprised, and reminded that Canada is turning out a lot of quality shows these days. Fans may recognize Peter Stebbings from Jeremiah or Crossbones, Lauren Lee Smith from Mutant X, Rainbow Sun Francks from Stargate: Atlantis, or Ennis Esmer from L.A. Complex – and he currently has a pilot on Amazon called Red Oaks. This entry was posted in Review, Television and tagged Alvin Klein, Canada, Craig Olejnik, Crossbones, CTV, Ennis Esmer, Fox International, IIB, Ingrid Kavelaars, ion, Jeremiah, Kris Holden-Ried, L.A. Complex, Lauren Lee Smith, Lisa Marcos, Listener, Melanie Scrofano, Michelle McCluskey, Mutant X, Mylène Dinh-Robic, NBC, ntegrated Investigation Bureau, Osman Bey, Oz Bey, Peter Stebbings, PopArtsPlace, positively entertaining, Rainbow Sun Francks, Red Oaks, Space, Stargate Atlantis, Tara Spencer-Nairn, Toby Logan, Toronto on September 29, 2014 by Kay. When I tuned in to the first episode of Madam Secretary, starring Téa Leoni as newly-appointed Secretary Of State Elizabeth McCord I am not sure what I was expecting. Politics in Washington D.C. should be a given. A President (Keith Carradine) I would wonder if I had voted for or if these writers were crazy to have decided to put in the White House? Possibly. What I was not expecting was an intriguing home life that would keep Elizabeth McCord grounded and extraordinarily human. Tim Daly, as her college-professor husband Henry McCord does not press her to violate confidentiality, and yet manages to give her advice and help her think through problems… and in a very true married couple moment realizes he is not finding the right words to tell his wife both what she needs to hear and what he genuinely wants to say so he simply asks her “tell me what to say!” And the moment works. Their children, Alison (Kathrine Herzer) and Jason (Evan Roe) are further used to drive home the point that these are real people, well and realistically used to frustrate their parents, try their parents patience and yet not come across as brats but simply as teenagers struggling to grow into adulthood in modern America. Elizabeth McCord is a qualified candidate for the role of Secretary of State, who knows the role, who knows the players in Washington, who knows what she wants to accomplish, and understands diplomacy and leaders and leadership as her meal with the King of Swaziland so beautifully shows. If I was expecting a by the numbers Washington D.C. show, that would explain why I found myself watching something else entirely, because this was compelling real world drama that had politics in it, but was not about political parties trying to obstruct one another, rather it was about running our country. I am unsure where the dynamic between a few characters is going, and there is the potential that a few things I will not like is going to happen — but sometimes that is part of the fun in watching a show like this. There is a reason for that expression ‘character you love to hate’. Sometimes it works. Time will tell if this is one of those cases, or not. 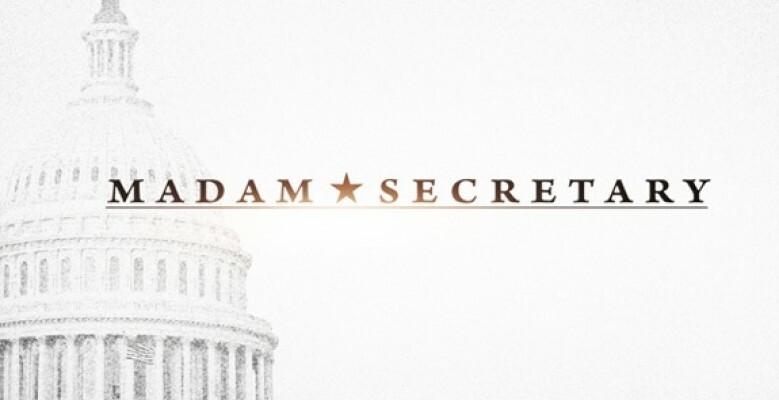 For now, I am glad I tuned in to the first episode, and I will continue watching, eager to see how the events unfold in this variation on our nation’s capitol. This entry was posted in Review, Television and tagged Alison McCord, Andrew Munsey, Bebe Neuwirth, Blake Moran, CBS, Conrad Dalton, Daisy Grant, Elizabeth McCord, Erich Bergen, Evan Roe, Geoffrey Arend, Henry McCord, Isabelle, Jason McCord, Jay Whitman, Juliet, Kathrine Herzer, Keith Carradine, Kevin Kilner, Madam Secretary, Marin Hinkle, Matt Mahoney, Nadine Tolliver, Nilaja Sun, Patina Miller, Patrick Breen, President, Russell Jackson, Sebastian Arcelus, Téa Leoni, Tim Daly, Washington D.C., William Sadler, Željko Ivanek on September 28, 2014 by Kay. CW’s Reign is an easy show to dismiss or overlook, if viewed from a certain perspective. This is not a history channel documdrama, or a PBS presentation of the life and times of Mary, Queen of Scots. The first trailers for Reign were so whimsical and fantastical that I was actually drawn to the show thinking it was fantasy as opposed to based on a specific historical figure. 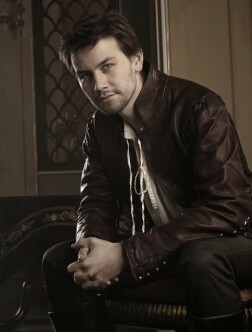 Season 1 follows several of the key benchmark moments from Mary, Queen of Scots, life, with facts adjusted slightly to make them more palatable to a modern audience (forgive me, I would not care to watch a show in which fourteen year-old children were pressed into marriage by political minded monarchs) and the intrigue and politics of court feel less true to one specific court, but more like the writers have drawn from all the courts of Europe, probably over a period of time, and brought the most interesting rumors, truths, sensations, and possibilities all to bear in one show. I did not go into Reign expecting a historically accurate or factual accounting of Mary, Queen of Scots, life, and perhaps that is why I have enjoyed the show more than some other reviewers I’ve run across. In the 16th century life was considerably different from the world we now live in, and I do not merely mean they lacked the technology we now take for granted. One character has younger sisters who are relying on her to make a “good match” and “marry well,” the family’s future, their hopes and aspirations, rest on the shoulders of the daughter they have sent to court. The Season 1 DVD includes two wonderful behind the scenes features. In Reign: The Making of a Queen there is discussion not only about how the show was made, but also about a hope that the viewers will investigate the life of Mary, Queen of Scots, for themselves, discovering where the line between fact and fiction has been crossed. That is a hope I share. To that end, I think Reign could be used quite compellingly by some creative teachers to intrigue students about the life of Royals and policy makers of the 16th century, and then get these students investigating where the show stuck to the facts, and where they took creative license. King Henri’s mistress, Diane de Poitiers, is an intriguing woman, who had two daughters with a husband who died in 1531, probably after she had been involved with King Henri’s father for several years… yes, in real life she was quite a bit older than Henri, and she was a distant relation of Catherine de Medici, Henri’s wife. A sentence that lies somewhere between fact is stranger than fiction, and that is why the lives of Royals of the 16th century make such excellent fodder for a show like Reign. Diane did not have a son with Henri, but some believe she might have had a daughter with him. And she made certain the King and Catherine de Medici produced 10 legitimate heirs, including three Kings of France – Francis II, Charles IX, and Henry III. Henri’s daughter Elisabeth married the King of Spain, and his daughter Margaret married the King of Navarre who later became King Henry IV of France. As I said, the Royal Courts, and families, were ripe with material for a show such as Reign, I simply feel the writers have not limited themselves to the life and times of Mary, Queen of Scots, and her peers / playmates, but rather the show has done an excellent job of portraying the concept of what such a life was like, and would be equally fascinating and compelling if it were placed in a mythological place where things happened to bear this same strong resemblance to real life events and times. The Authenticity of Reign: Recreating the 16th Century talks about the amazing sets, the castles used in the pilot vs. the sets that were constructed for the first season, and the fantastic wardrobe worn week after week. There have been a few gowns that have left me wondering if that could really have been made in the 16th century, and yet they were so strikingly beautiful, and so decadently upper-class and beyond the realm of possibility to a mere peasant, that in that part of me that still views the show more as fantasy and less as derived from the life of true people, I forgive them for the abundant use of modern fabrics, embellishments, and sewing machines — perhaps also in part because they have maintained the styles, the necklines and hems, and the sense of the 16th century even while adding that modern flair. The music during the episodes is an interesting contradiction, similar to the clothing. When the characters are dancing in the ballroom it sounds very 16th century, and yet the background music often has a very 21st century sound to it… and somehow this shift between styles works for the show. Someone is carefully balancing the two, not blasting headbanging music, but giving modern zip and swing to action scenes in a manner that is undoubtedly keeping the CW audience in tune. On the subsequent hunt, the party spread out as they chased their prey, and William, in the company of Tirel, became separated from the others. It was the last time that William was seen alive. In their search for prey, according to chroniclers, Tirel let loose a wild shot at a passing stag. However, instead of striking the stag as intended, the arrow pierced William in the chest, puncturing his lungs. King William Rufus died instantly. 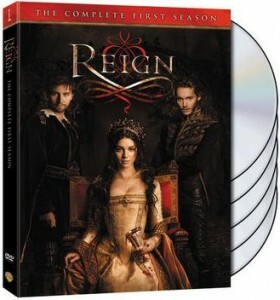 When it comes to Entertainment, Reign fits the bill with high marks! While I would enjoy learning the true story and details of the life of Mary, Queen of Scots, with access to the internet a part of most people’s daily lives, Reign is a show that can easily inspire those of us who have forgotten the ins and outs of her turn as a Monarch to spend an afternoon on-line, refreshing our memories, and exploring a century gone-by. As for the show, it’s a once a week guilty pleasure, a chance to set the modern world aside, forget our troubles and electronic leashes, and be reminded just how easy we have it in so many ways. 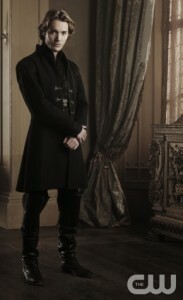 Reign returns for a second season Oct 2 at 9 PM / 8 Central on the CW. This entry was posted in Review, Television and tagged Adelaide Kane, Alan Van Sprang, Anna Popplewell, Anna Walton, Ashley Charles, Aylee, Brad Silberling, Caitlin Stasey, Catherine de Medici, Celina Sinden, Charles IX, Clarissa, Claude, Colin, CW, Diane de Poitiers, Docudrama, Documentary, England, France, Francis II, Greer, Henri II, Henry III, Henry IV, History, History Channel, Jenessa Grant, Jonathan Keltz, Katie Boland, Kenna, King Henry II, King of Navarre, King of Spain, Laurie McCarthy, Leith, Lola, Manolo Cardona, Mary, Megan Follows, New Forest, Nostradamus, Olivia D'Amencourt, PBS, Peter DaCunha, PopArtsPlace, Prince of Portugal, Queen Catherine, Queen of Scots, Reign, Rossif Sutherland, Scotland, Scots, Sebastian, Shawn Doyle, The Authenticity of Reign, Toby Regbo, Tomas, Torrance Coombs, Walter Tirel, William II, William Rufus, Yael Grobglas on September 27, 2014 by Kay.